New federal data indicates that the number of live marijuana plants seized by federal agents has dropped significantly in California and across the country, while seizure of harvested and processed marijuana has doubled. Los Angeles marijuana lawyers believe this points to a very clear trend: Fewer plants are being grown here, where they can be watched and regulated, and instead are coming from just over the border in Mexico, where sales fund violent drug cartels. California, which typically claims the title of the most plants eradicated in any state, saw a nearly 47 percent decrease in seizure of marijuana plants between 2010 and 2011 (2012 figures aren’t yet available). Nationwide, federal authorities reported that in 2010, there had been a seizure of more than 10.3 million live marijuana plants. The following year, that number dropped to 6.7 million plants, which represents a decrease of 35 percent. In all 37 states saw their eradication results fizzle. One noteworthy example is Idaho, where officials saw a 98 percent decrease in live plants seized. It went from nearly 78,000 in 2009 to less than 790 two years later. In Washington state, officials had eradicated about 600,000 pounds of marijuana in 2009. Last year, they seized just 325,000 pounds. 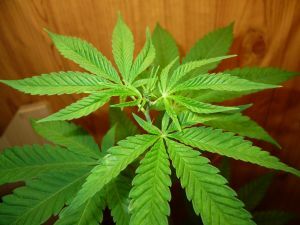 Officials define “live” marijuana plants as those that have some root structure and are mature enough to produce the buds that contain the drug. Of course, authorities are crowing that its their own efforts that have caused the decline in growth. But the truth is, there isn’t any less marijuana going around, as evidence by the fact that officials note that the street price of the drug has declined, indicating there is an abundance. Other factors are more likely at issue here. One is that a severe, nationwide drought has affected the growth of all plants – marijuana included. Secondly, local, state and federal officials have been scaling back their forces in recent years due to budget constraints. There aren’t as many raids and stings being carried out as there were when departments were flush with cash. The National Guard program, which had once been the primary operator of the helicopters used for marijuana searches, has had its budget slashed in recent years. And finally, the crackdown has served to push the legitimate, law-abiding growers out of business. This is why officials have seen the amount of illegal processed weed balloon. This figure went from about 54,000 pounds in 2009 to nearly 115,000 pounds in 2011. Some of this was taken at the same time that grow operations were busted, but the majority happened in traffic stops and other locations. For a while, officials said it was a major problem to battle illegal growers operating in forests or on wild lands. These growers would typically employ an irrigation system that tapped into a local water source, but the major problem was that the fertilizers were damaging local environments. Federal authorities believe a number of these growers have simply relocated their outdoor operations inside in order to avoid detection.